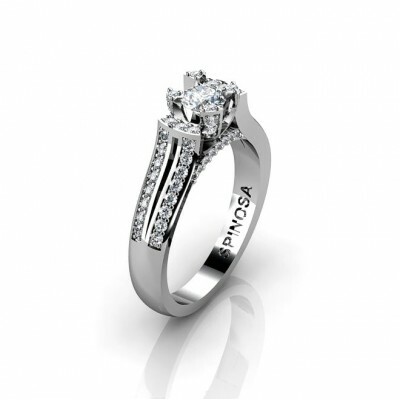 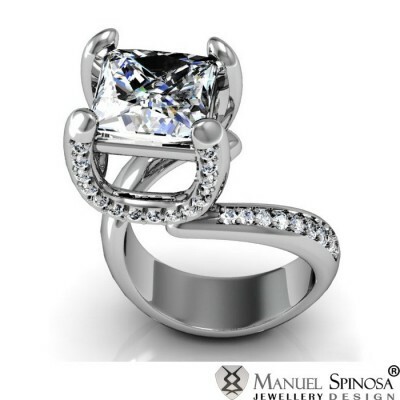 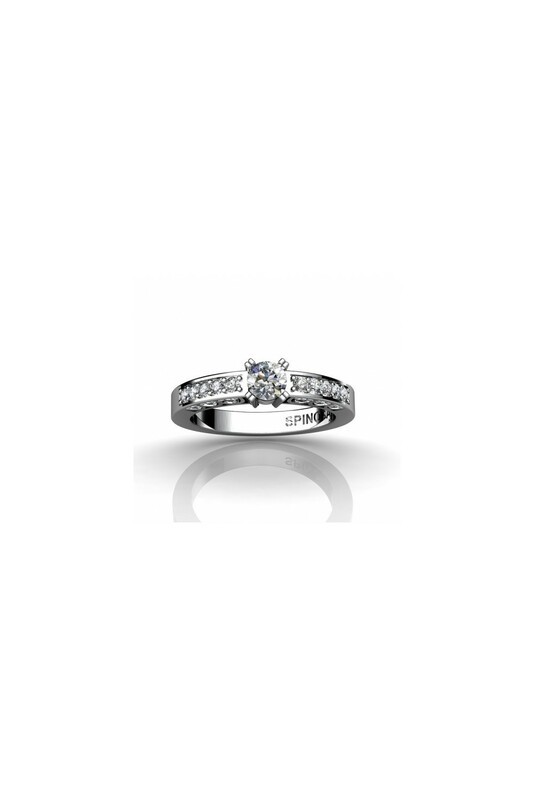 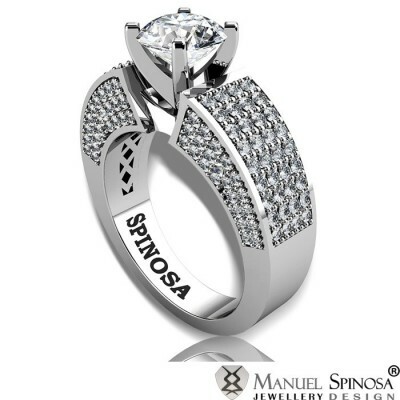 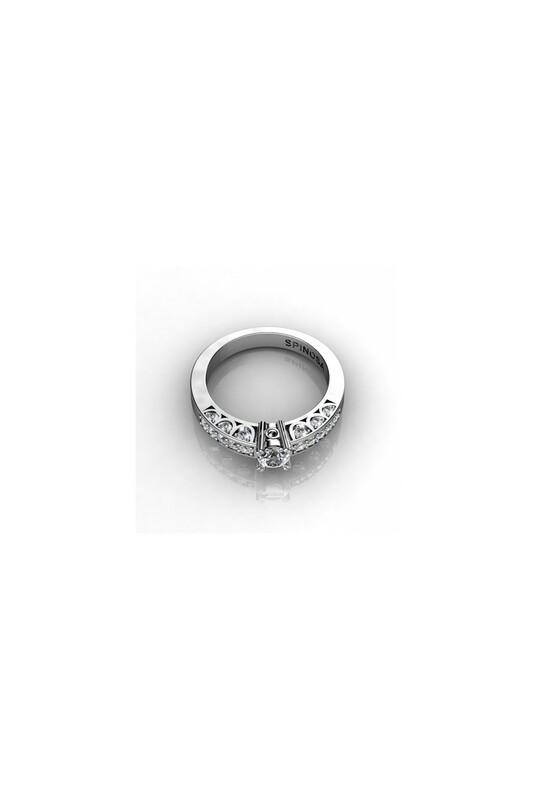 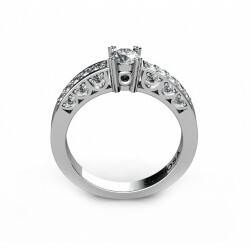 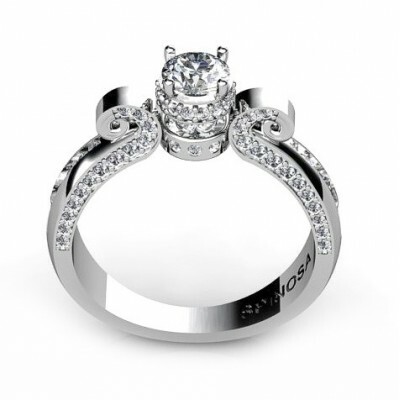 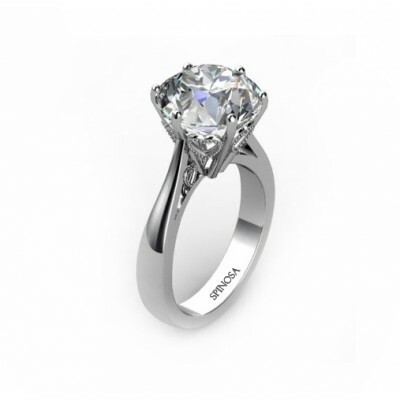 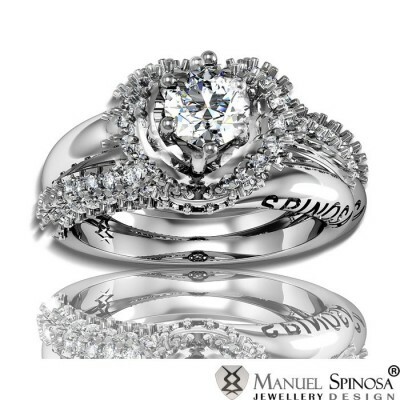 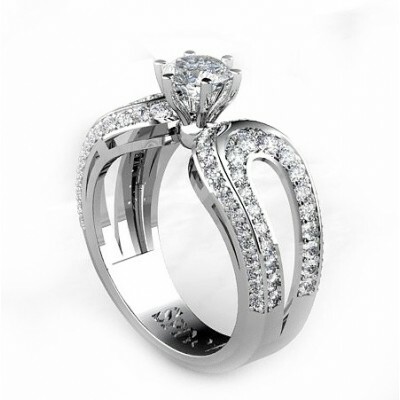 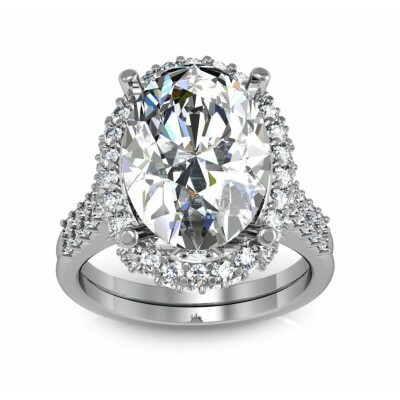 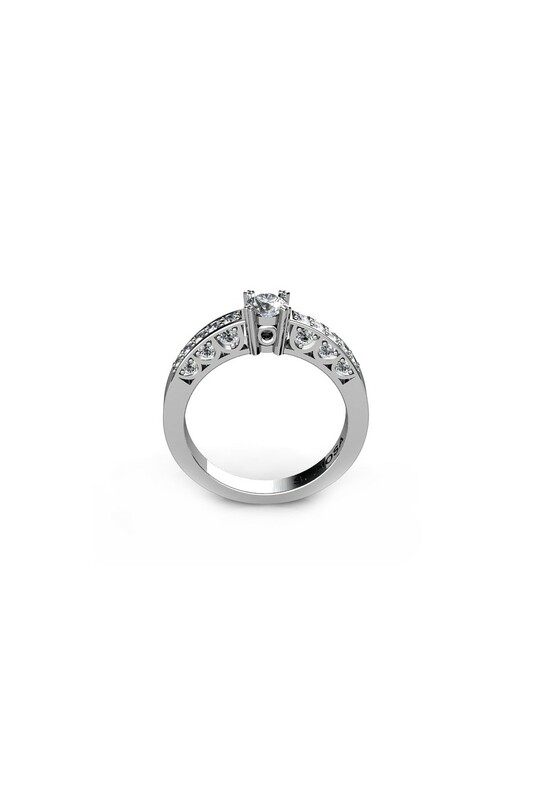 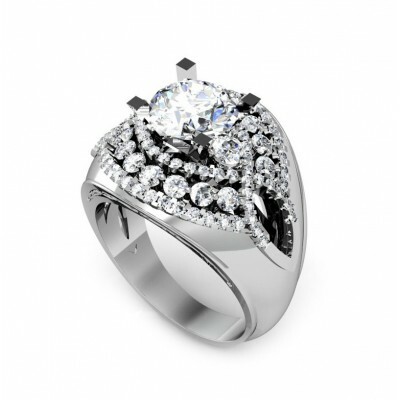 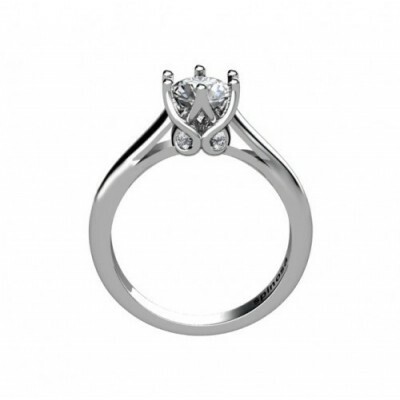 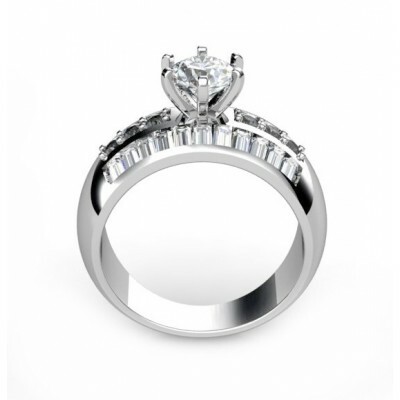 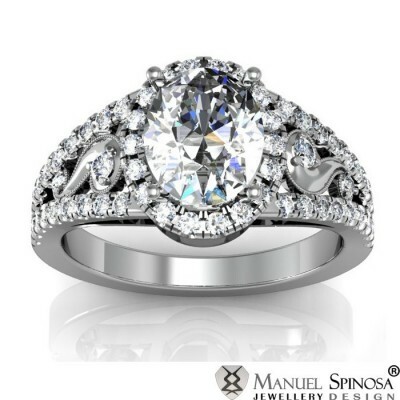 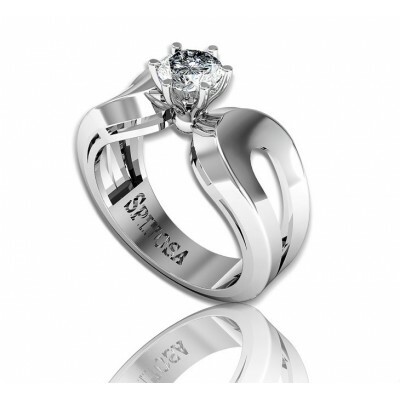 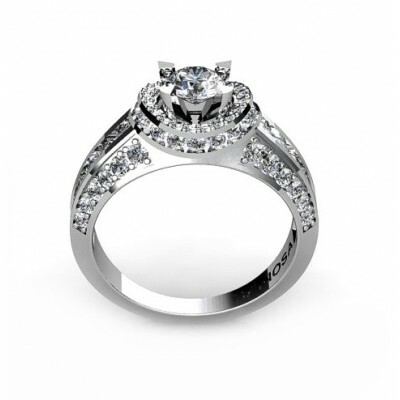 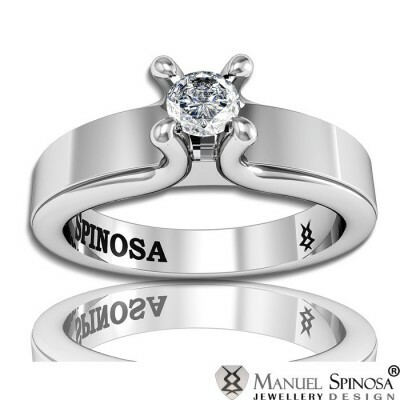 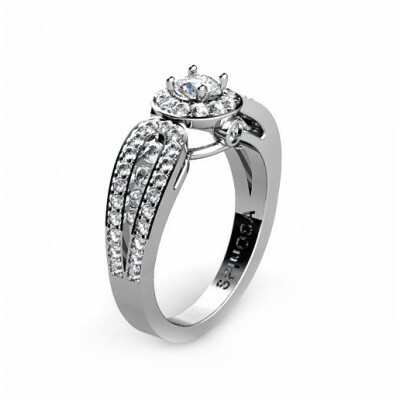 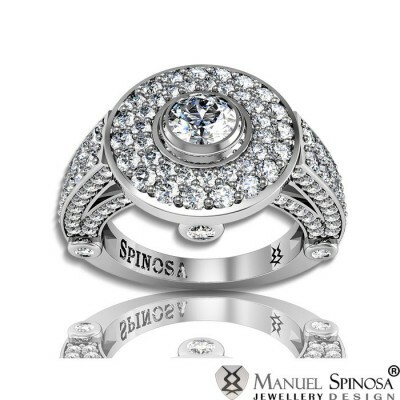 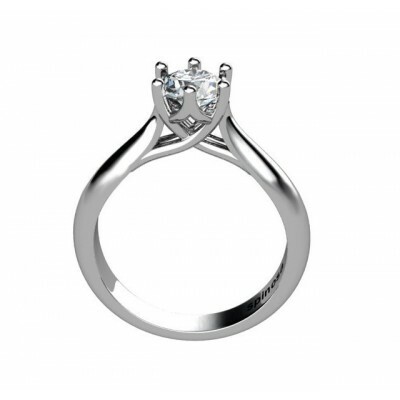 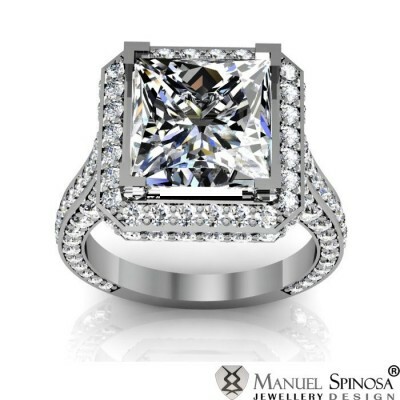 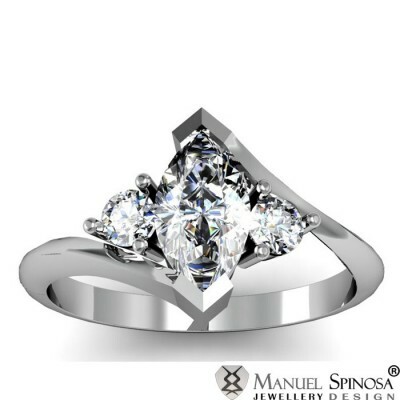 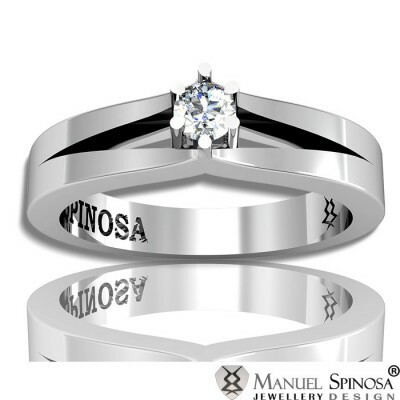 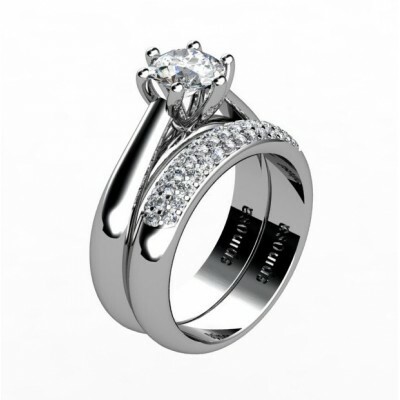 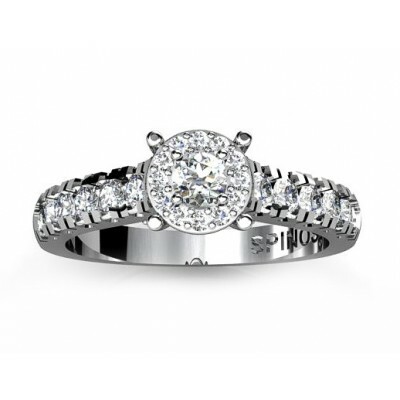 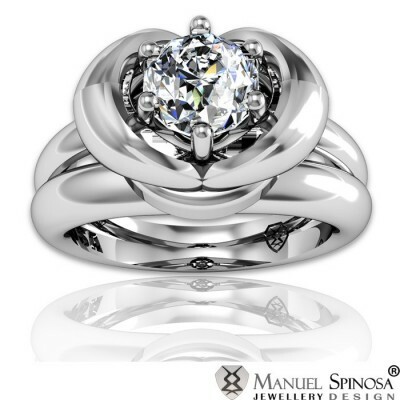 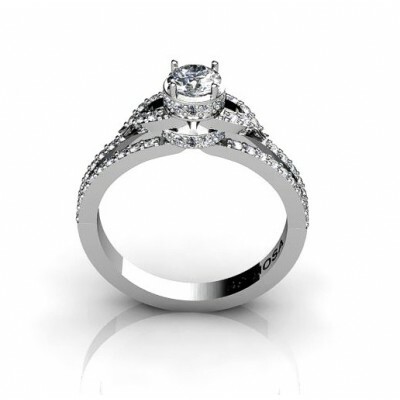 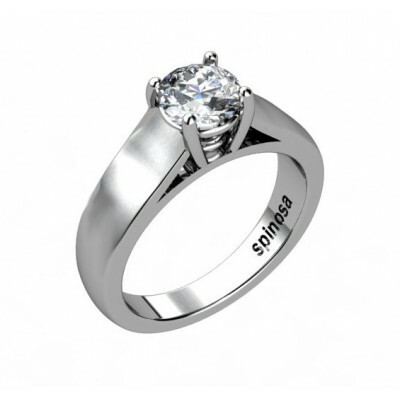 An elegant engagement ring with a central diamond that is secured by 4 claws. 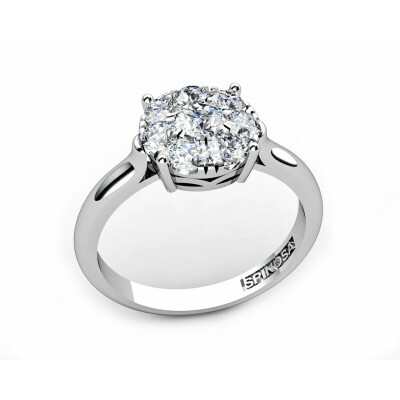 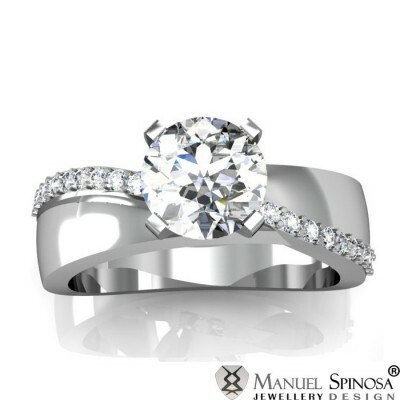 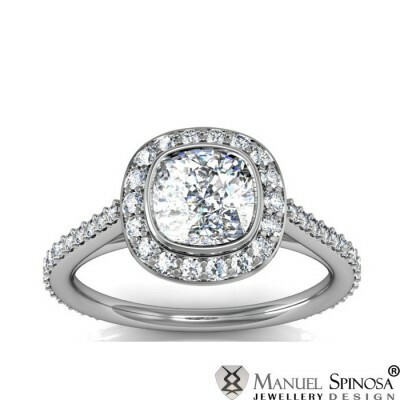 It is surrounded by 22 brilliants with a total of 0.469 ct quality H-VS. 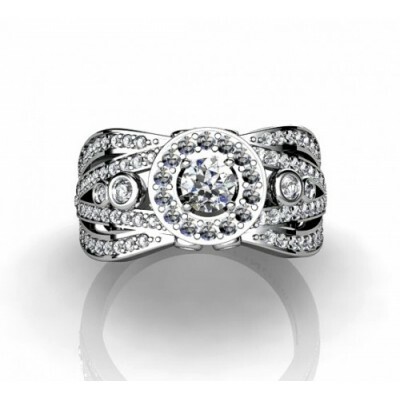 It has a unique and modern design that is perfect for every woman.